How is it possible to have characteristics which you don't see when you take a look at your parents? For example: you have blue eyes, but both your parents have brown eyes. It is all because of the information in your DNA. We will find out how this works by looking at a lot of examples. Do you want to know how eye colour is inherited for real? 1. What's a punnett square? How do you use it? 2. 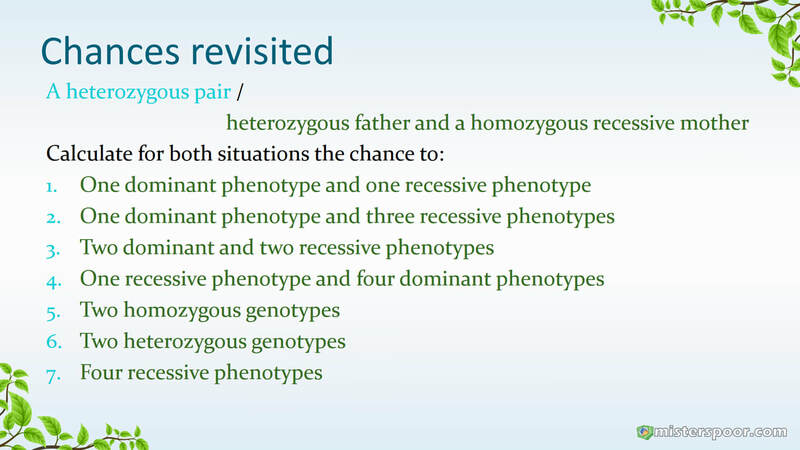 What does dominant and recessive mean? 3. How would it be possible for parents with brown (dominant) eyes to get a child with blue eyes? 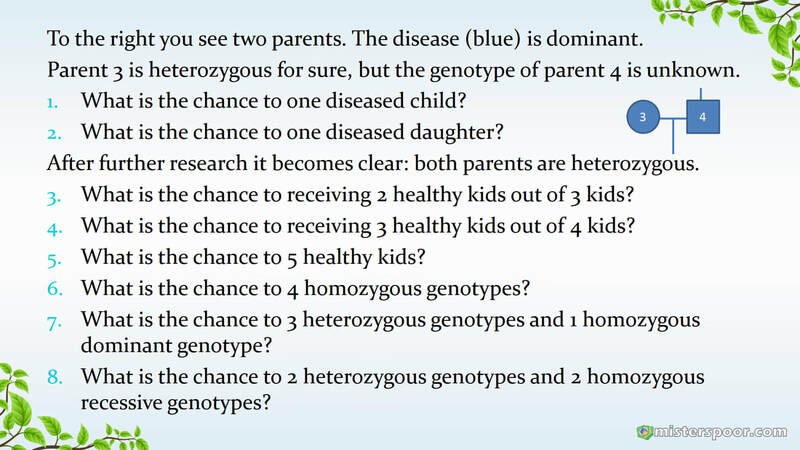 Give the genotypes. Where do you genes come from? 1. How many chromosomes do you have? 2. How did you get these chromosomes? 1. What do genes and proteins have to do with each other? Write down the different steps, you don't have to know the names of the phases, but you should be able to explain what happens. Write down the different steps. What are the differences with mitosis? There are at least 5 differences.